For an example of what happens when a pension hits a brick wall, look no further than Central Falls, Rhode Island - a city of 19,359 which was forced to cut monthly checks to retired police and firefighters by as much as 55% as the entire town tried to stave off bankruptcy. 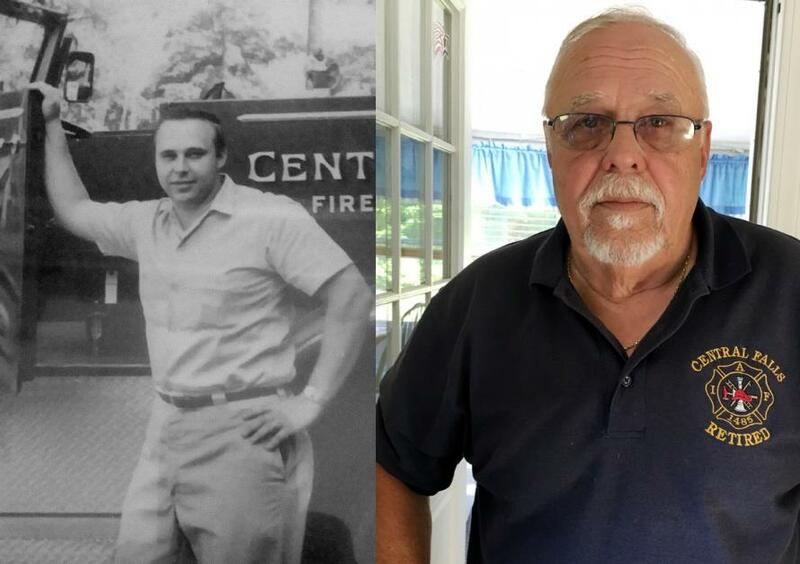 Alas, the town still filed in 2011 - and while its financial situation has improved, retired city employees aren't getting their full pensions back. The concessions helped Central Falls emerge from bankruptcy in 2012 and create a “rainy day fund” that now holds $2 million. 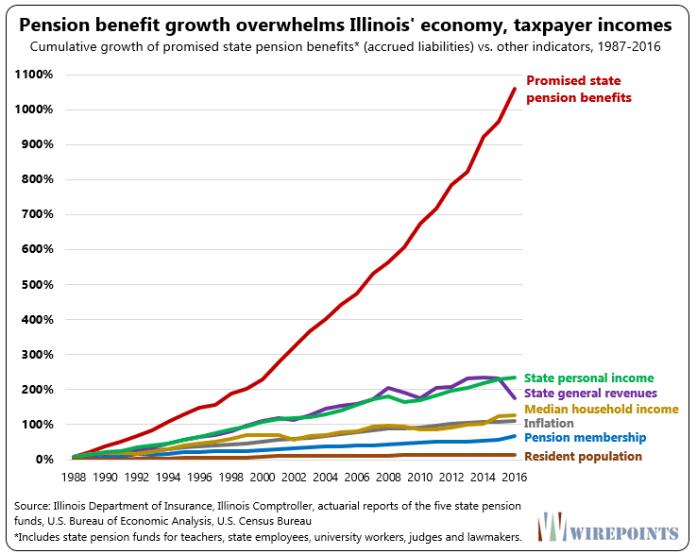 The Journal notes what we've been pointing out for years - namely that when times are good, politicians make overly generous promises, while public-employee unions make unrealistic demands that elected officials acquiesce to. As a result, former lifeguards in Laguna Beach, CA enjoy $200K pensions, while retired bigwigs rake in even more - such as former Penn State president Rodney Erickson who receives $477,950 per year from the state. 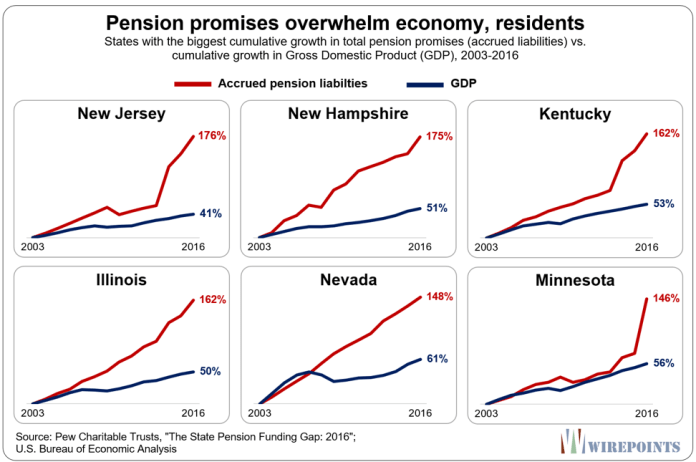 That's all compounded by longevity, while the risk of the next financial crisis stands to crush already-distressed pensions. 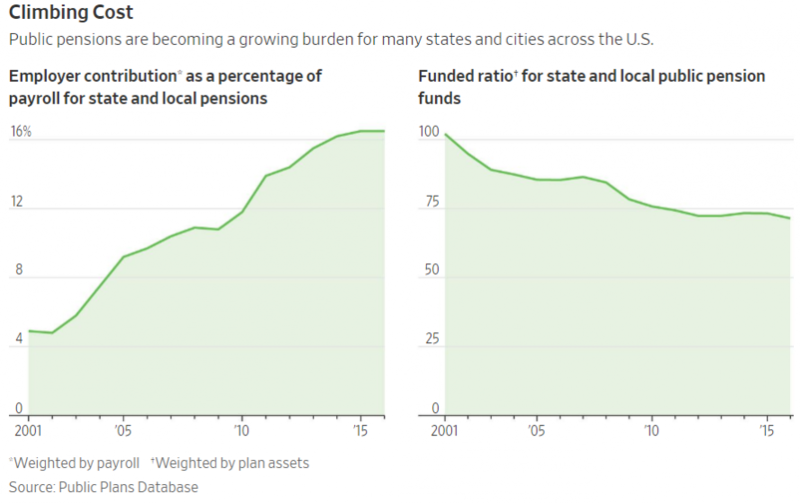 For a taste of what may be to come, State and local pensions lost around $35 billion between 2008 and 2009, according to Pew, while liabilities jumped by over $100 billion per year. And as the Journal points out, "not even a nine-year bull market in stocks could close that gap." Government officials, taxpayers and public-sector employees are not on the same page when it comes to solutions. 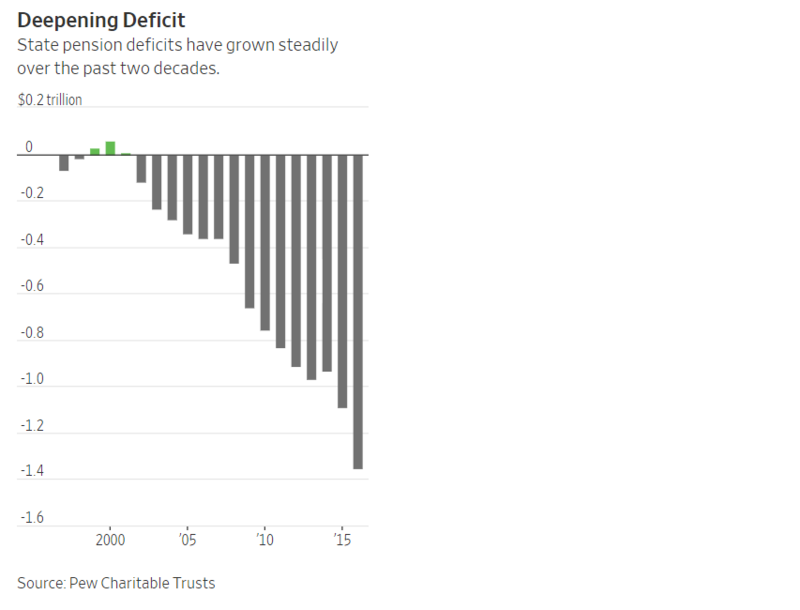 Puerto Rico's pension board, for example, which filed for the largest-ever US muni bankruptcy in 2017, certified an average 10% pension cut for certain retirees as part of a plan to bring the island back to solvency. 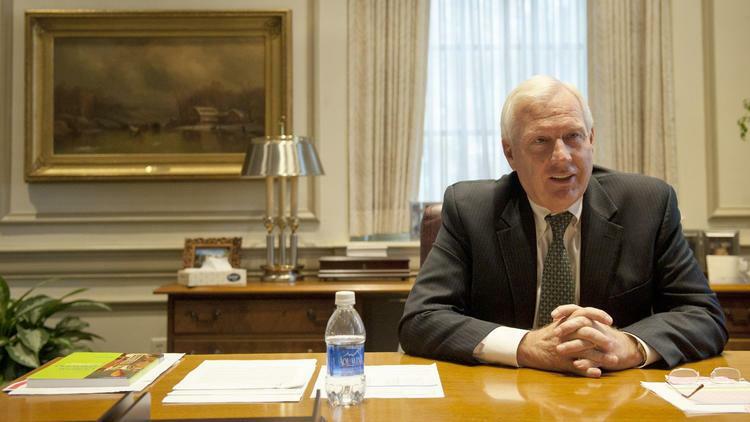 Meanwhile, the governor has promised not to implement it - portending a lengthy court battle. In Kentucky, a judge ruled in June that a reduction in pensioner benefits championed by the governor was unconstitutional because of the way the law governing the payouts was passed. Meanwhile a state's attorney general vehemently opposed the legislation - yet another battle that could end up with the state Supreme Court deciding the outcome. And in California, a handful of cases before the state's Supreme Court are putting an influential 1955 law to the test that prevents public employee benefits from being cut - something Governor Jerry Brown predicts will occur during the next recession if the rule is loosened. If California relaxes the legislation, it would set precedent that other states may follow to accomplish deeper benefit cuts.